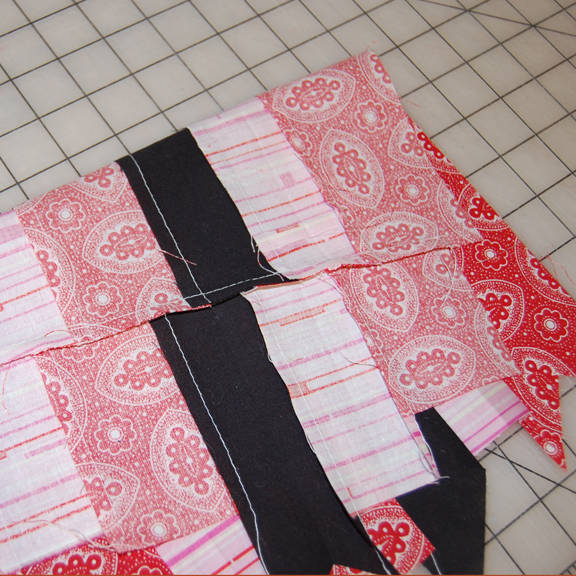 For the larger quilt background, I used strips of varying cut widths all cut from selvage to selvage. So my strip set was 42″ wide x about 55″ or so. 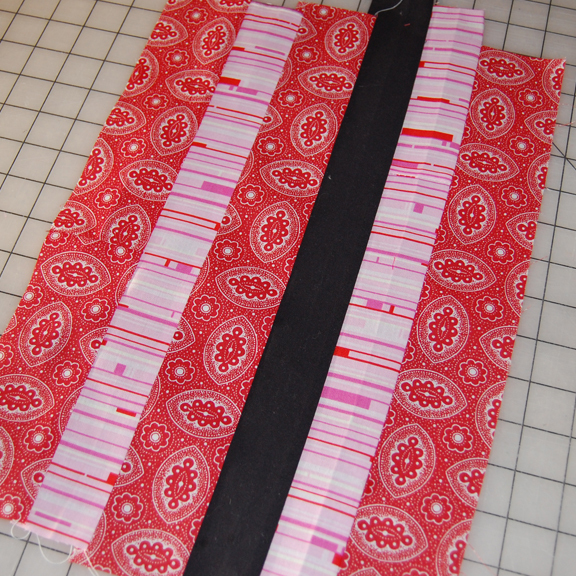 This tutorial will use shorter strips cut between 2″ – 3″ wide. These are old “binding scraps” that I had in my scrap bin. Step 1.? 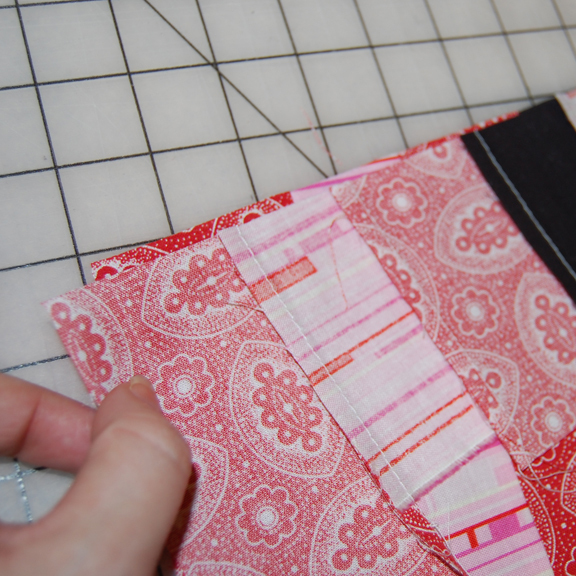 Stitch your strips together and press them with starch. Step 2. Fold one end over, matching right sides. This fold is about 4″ or so. Make sure this fold is NOT square or neat or tidy. Just fold it. You can see in the photo (above) how the cutting mat grid lines are un-even along the top folded edge. Step 3.? 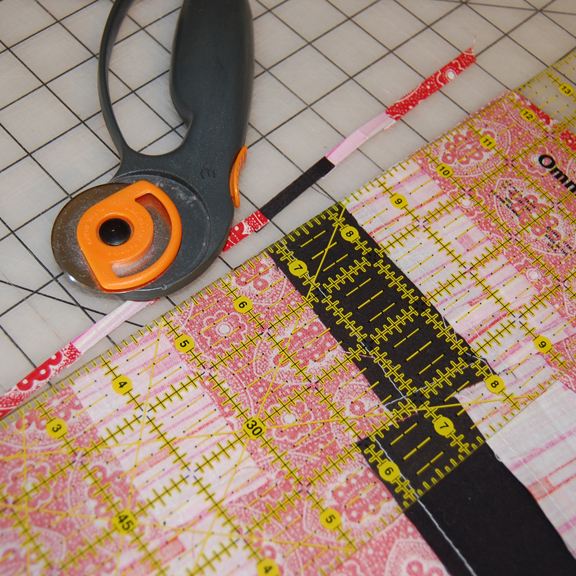 Use a rotary cutter + ruler to cut off the actual fold. Trim it very narrowly, removing just the folded edge. 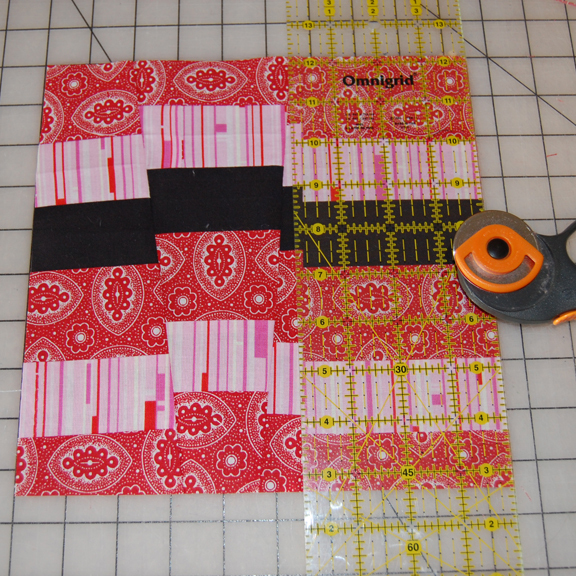 If you are making a much larger background, just use scissors to cut along the fold line. Step 4. Keeping everything in place, pull the newly cut piece slightly towards the right of left. This will “off set” the stripes for the fractured look. Step 5. 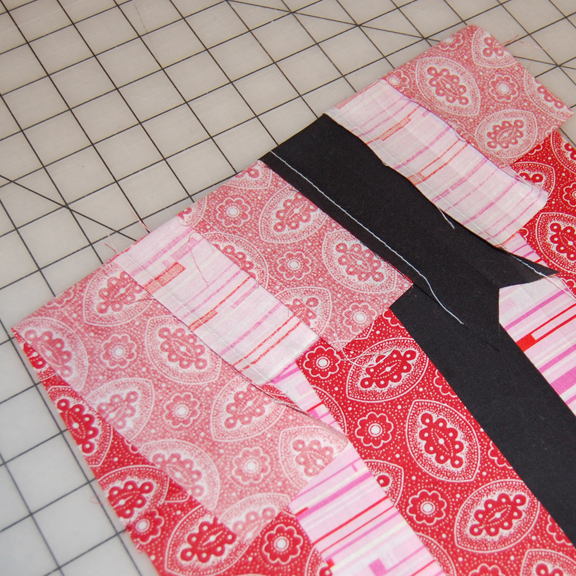 Use a 1/4″ seam allowance to stitch the two pieces back together. Step 6.? Open the seam and press. It’s totally ok that everything is turning out uneven. Step 7.? Fold the strips onto themselves again. This time, try to angle your fold in the opposite direction as your first fold. -Though really, it doesn’t matter, this method is intended to yield a haphazard looking fracture. Step 8.? 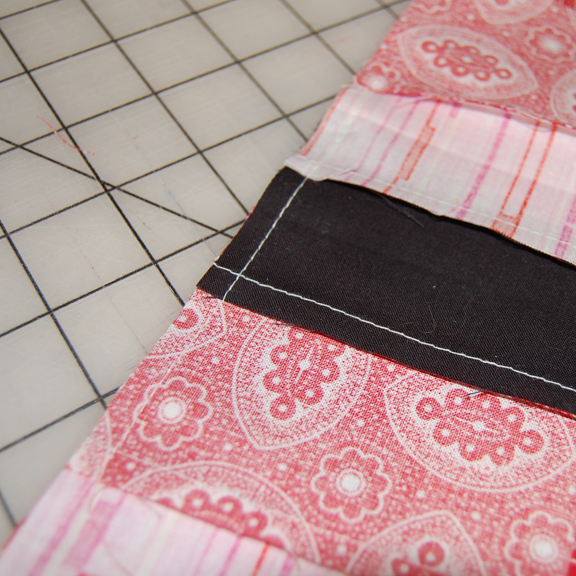 Cut off the new fold again, give it a gentle pull to either the right or left sides to off-set the strips, and stitch the pieces together. Once its stitched, open and press. You can repeat these steps for as many folds/fractures as you like. Step 9.? You will now have a very jagged mess. AWESOME! The next step is to simply square it up. 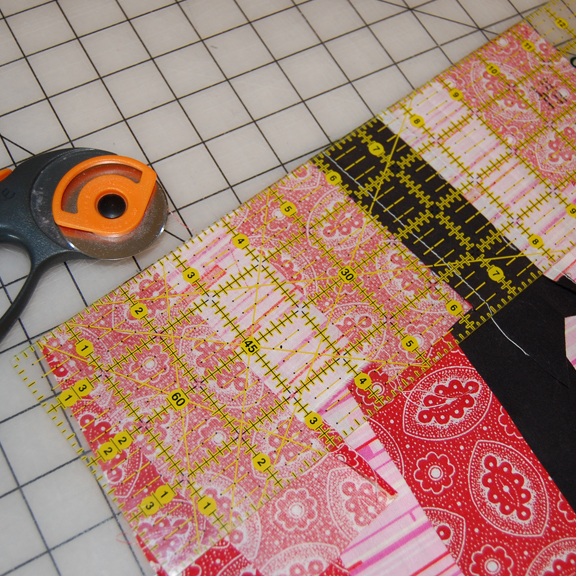 If you are making a block, you’ll want to decided on some size that fits into your design. 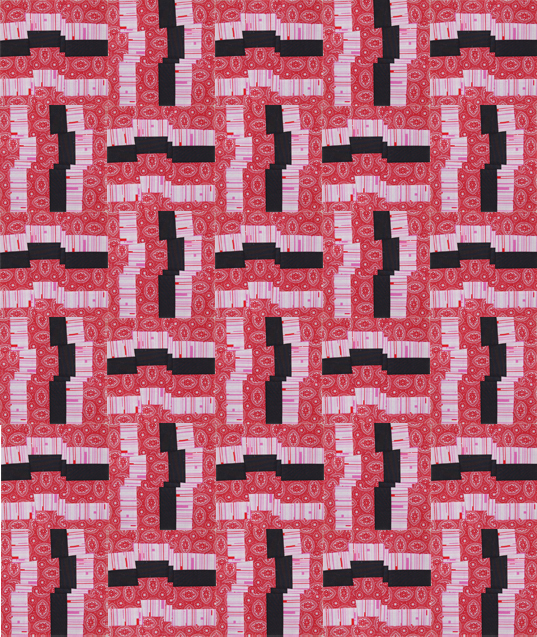 If you are making a large quilt background, in my case with the Modern Hexagon Quilt, I tried to make the background as large as I possibly could. 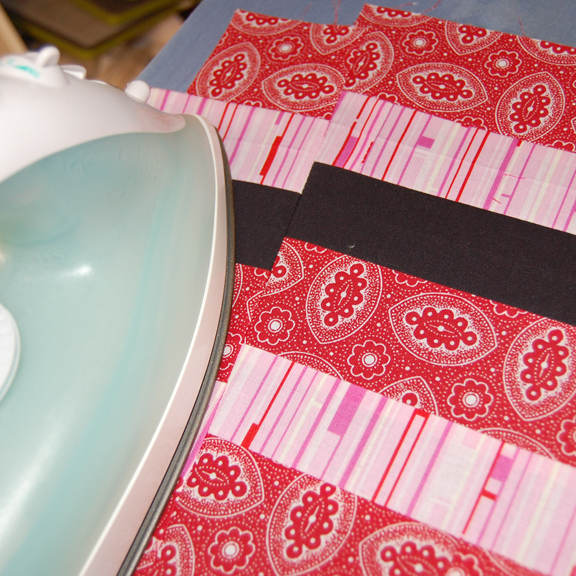 *Fabric used in this tutorial are Black-Ikea Sheet, Pink- Nicey Jane by Free Spirit, Red- South African Schwe Schwe. 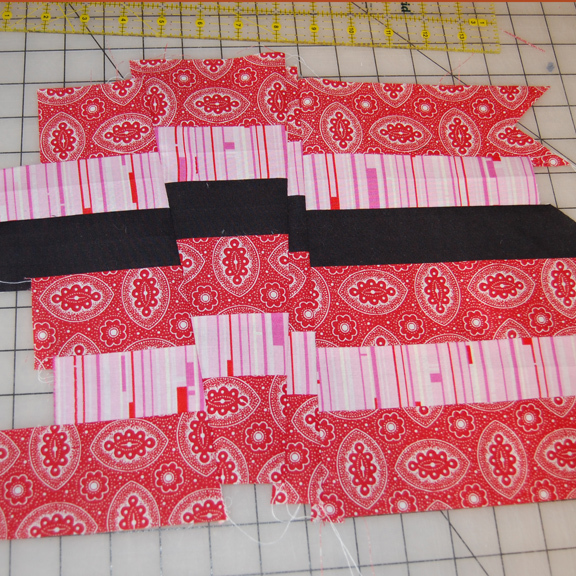 This block is listed/entered in the Quilt Story Block Party!